Lesson One: This is a linear trail, not a loop trail. The LHHT trail has concrete mileage markers at every mile. That's seventy markers. This is both a blessing and a curse, depending on your personal mental attitude at the moment. Anyway, hikers who want to go for an overnight backpacking trip will probably need to set up a shuttle ride for their trip. Luckily, there are a whole lot of road crossings and parking areas along this 70-mile linear trail. If you don't have two cars, contact Wilderness-Voyageurs in Ohiopyle for shuttle services. Lesson Two: Camping. 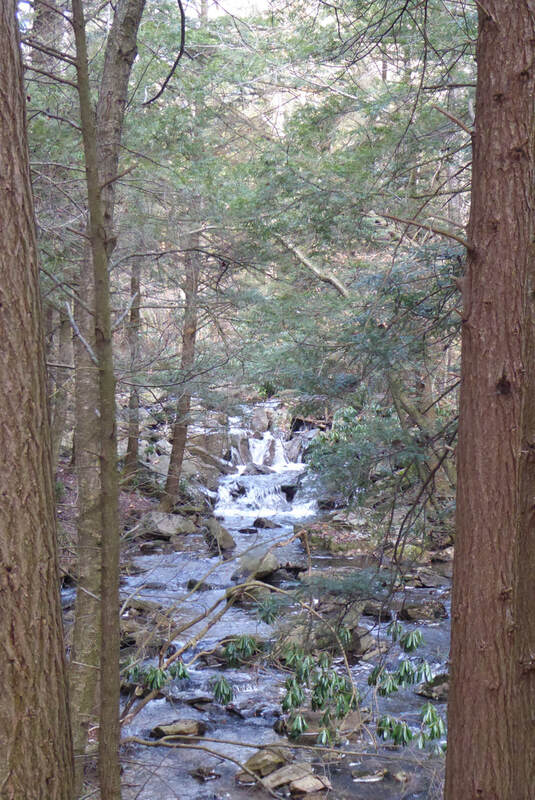 This trail is different than most in PA because it is managed as a state park. 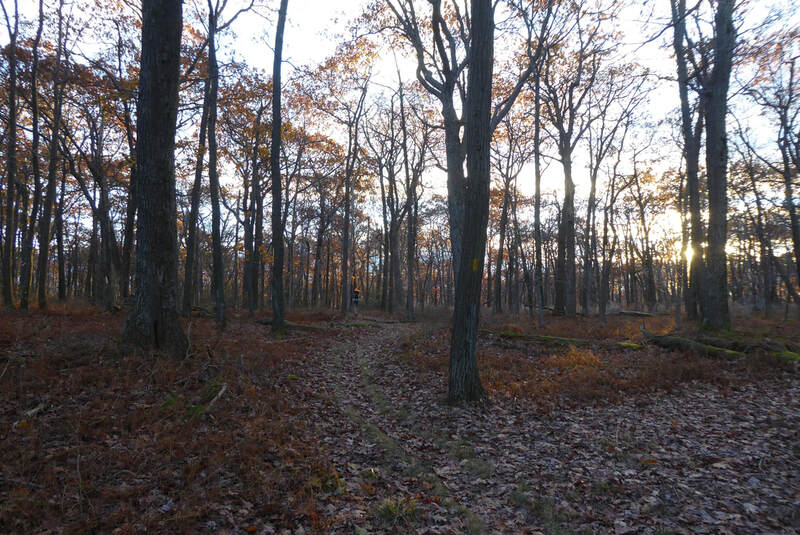 One noticeable difference for hikers is that they are required to make a reservation and stay in shelter areas, rather than set up a primitive camp along the trail. The shelter areas are nice and include pit toilets, untreated water, stacks of cut and split firewood, signs, trash cans, tenting areas, and of course, shelters. The shelters are three-sided Adirondack style with a fireplace on the fourth side. 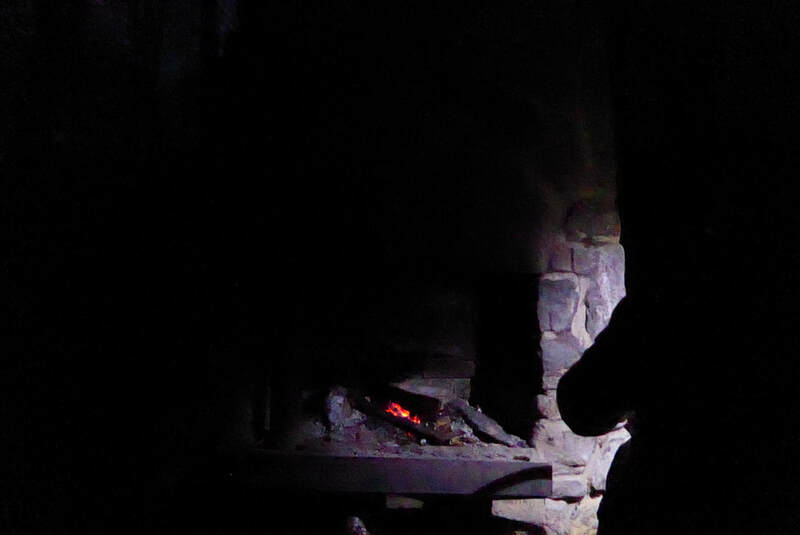 Yes, you read correctly, these shelters include fireplaces to help stay warm and dry while hiking this trail. Lesson Three: There is water on this ridge...sometimes. The northern third of the trail essentially has no water crossings, while the southern two-thirds is loaded with water. Of course the shelter areas have water, but these are on side trails away from the main trail. 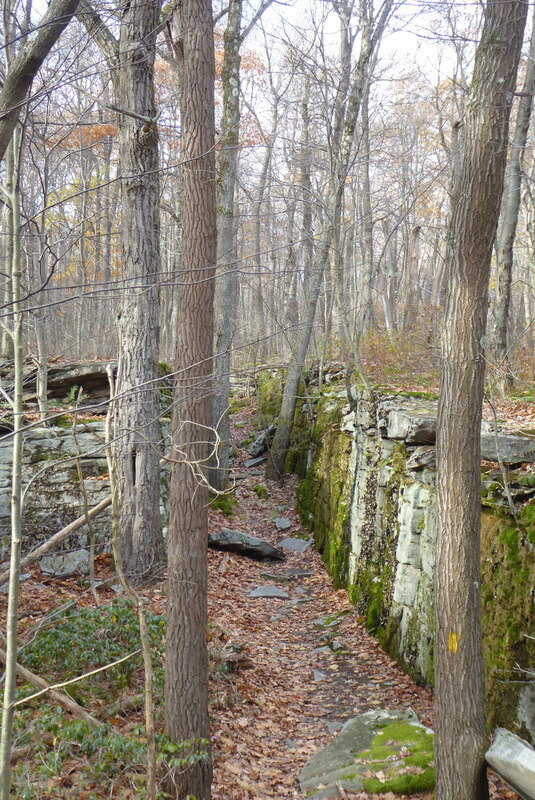 Again, this is a ridge that isn't like other Pennsylvania ridges. This ridge can be dry, or swampy, or maybe even has a stream cutting through it. 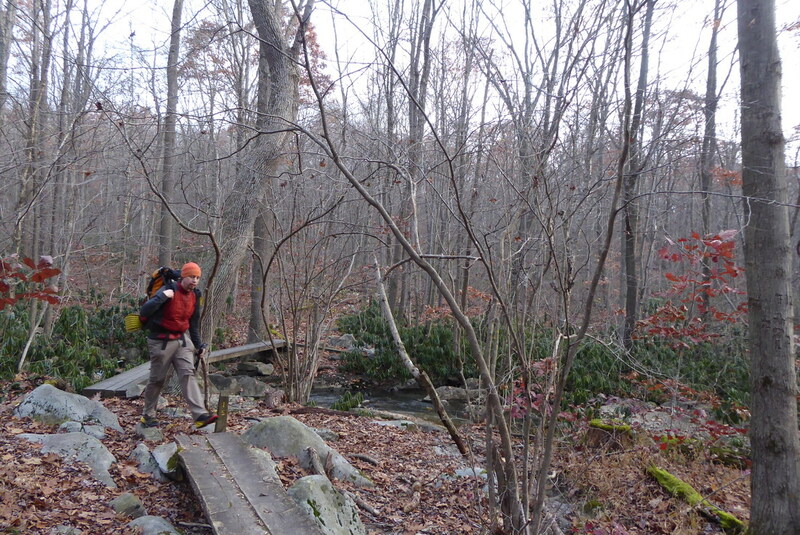 So be sure to plan ahead for water resupply, and expect your feet to get wet every now and again, even though most stream crossings do include wonderfully built bridges. Lesson four: Big rocks and trees! There are tons of really awesome rock formations along portions of this trail. Rock climbers will want to bring some chalk...and maybe even some climbing shoes. Big old trees are strewn about along this trail, too! 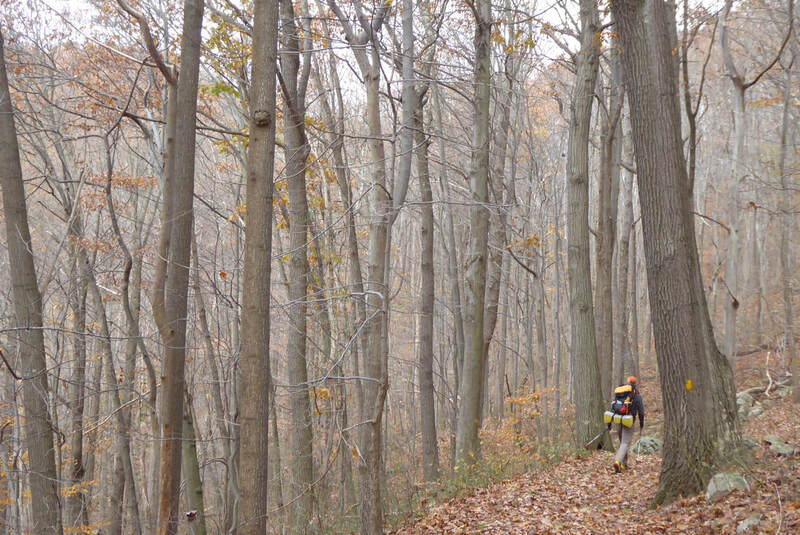 The LHHT highlights a vast, old hardwood canopy that is becoming more rare in the eastern U.S. There are many impressive trees along the way, including black cherry, yellow poplar, and a variety of maple and oak species. Lesson Five: Hikers don't have to carry too much food. Multiple resupply options exist near the trail. These can save pack weight and help the local economy, similar to the Black Forest Trail. Places exist near the LHHT like Walat's on Route 30, Highlands Market off of County Line Road, and Falls City Restaurant and Pub (at the southern terminus of the trail). Hikers can also walk down the ski trails at Seven Springs to enjoy a hot meal.